I have exciting news for all you winelovers out there: October is Virginia Wine Month! What? You have never had wine from Virginia? Then I have even better news for you, since today is October 1st you have 31 days to either travel to, hunt down in your local wine retailers or order online some outstanding wines from Virginia! I will admit I have not had an abundance of Virginia wines; however, of the 6 (including the three in this article) I have tasted, I have thoroughly enjoyed and would highly recommend each one of them. My first Virginia wine experience was highlighted in my article “Burgundy Wine in Virginia: Absolutely,” where I shared my enjoyment of Ankida Ridge’s 2012 Pinot Noir, an elegant and restrained wine in the style of Burgundy. My second Virginia wine experience, shared in my article “Fifty States of Wine,” was at Texsom in the session Beyond the Big Three. In that article I shared the 11 wines we tasted from various states and highlighted my favorite four wines. Of the 11, 2 of my favorites (Barboursville Vineyards Vermentino 2013 Reserve and RdV Vineyards 2009 Cab/Merlot “Lost Mountain”) were from Virginia. I am generally a fairly quick learner so after enjoying three wines from Virginia it began to occur to me that Virginia may be producing some high quality wines. 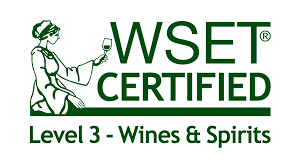 Therefore, when Frank Morgan, Drink What YOU Like, invited me to participate in the September session of Virginia Wine Chat I immediately said YES! The #VAWinechat included a live UStream feed with Frank hosting a live tasting and interview of the winemakers of the three featured wines. It was quite a treat to watch and listen to the winemakers share their expertise on their wines and the industry. The three winemakers present were: Emily Pelton of Veritas Vineyard, Matthieu Finot of King Family Vineyard, and Jake Busching of Grace Estates Winery. The wines I am reviewing were sent to me by these three wineriess as well as the Virginia Wine Marketing Office and The Virginia Wine Club. Here is the Ustream link if you would like to watch the video and learn about Virginia Wine making from these three experts. 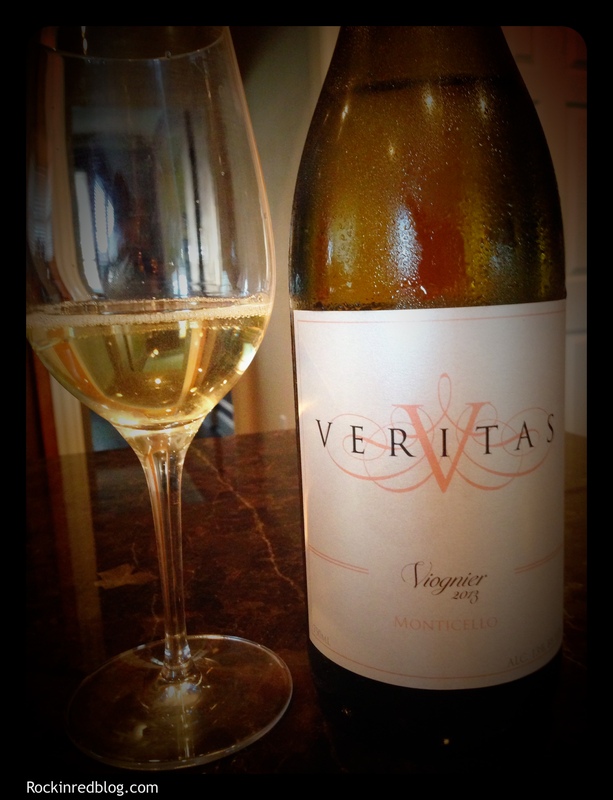 Veritas 2013 Viognier: This wine was crafter of 95% Viognier and 5% Petite Manseng. It poured a pale gold into the glass. On the nose this wine offered bright aromas of stone fruit with a touch of citrus and herbal notes. On the palate the Viognier offered flavors of peaches, melon and lemon zest with some crushed stone on the back of the palate. It was a refreshing wine with a creamy texture with a great acidity that filled the mouth and lingered after the wine was swallowed. Emily fermented this wine in stainless steel tanks, then aged in neutral oak because she did not want the oak to influence the flavors of the wine. Furthermore, she de-stemmed the grapes as well as a short cold soaking for 9-14 hours before pressing the grapes. Emily chose to add the 5% Petite Manseng to assist with the high ph of Viognier; it rounded out the acidity naturally increasing the balance of the wine. The Viogner contained 13% alcohol; SRP $24. I enjoyed this Viognier and I recommend this wine. It would pair well with poultry, fish and a savory eggs for dinner meal. 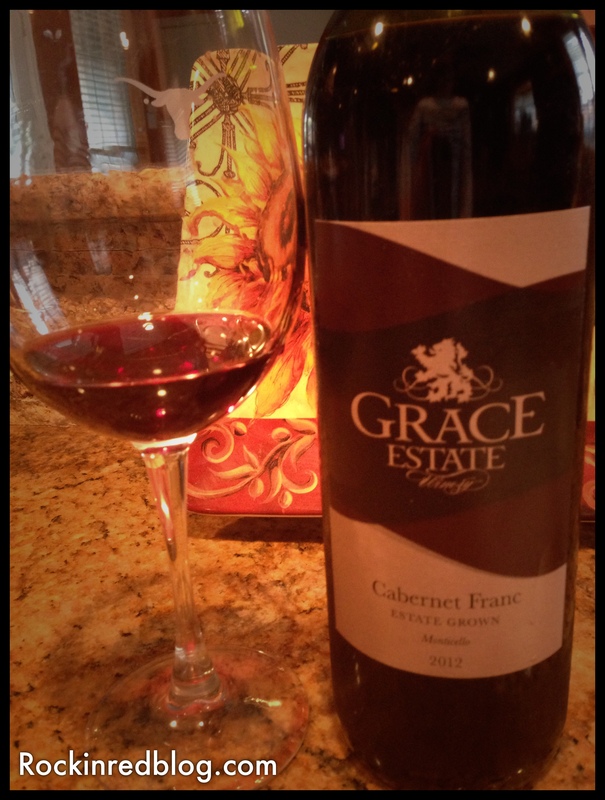 Grace Estate Winery 2012 Cabernet Franc: This wine was crafted of 92.5% Cabernet Franc and 7.5% Petite Verdot. It poured a bright ruby into the glass with lovely viscosity. It opened with a wonderful aroma of dark berries, bell pepper, and tobacco. On the palate this smooth drinking wine offered flavors of ripe cherries, pepper, leather, minerals and a luscious smoke that rounded out full mouth feel. The tannins were quite refined and well balanced with the acidity, leading to a lingering mouth feel that was elegant and a great representative of both the vintage as well as the Monticello AVA terroir. Due to the challenges presented by an old vineyard with “crotchety” vines and 6 feet of clay, Jake shared how this was a different style of Cab Franc then he has made in the past. Instead of barrel aging for 14 months, like he has done in the past, this Cab Franc was aged in oak for 10 months. Because it was lighter in style than what he was used to, he added the Petite Verdot to add color and weight to the wine. Interestingly on this Cab Franc the wonderful smoky notes it conveys do not come from heavy oak; rather, it was a natural finesse resulting from the winemaking process. The Cab Franc contained 13% alcohol. SRP $22.95. This was a highly enjoyable Cabernet Franc that I would recommend to those who love Cab Franc and have been drinking it for years as well as to those who either do not care for Cab Franc or are less familiar with the varietal; truly a lovely wine! This wine would pair well with Italian sausage, lamb or dry rubbed ribs. 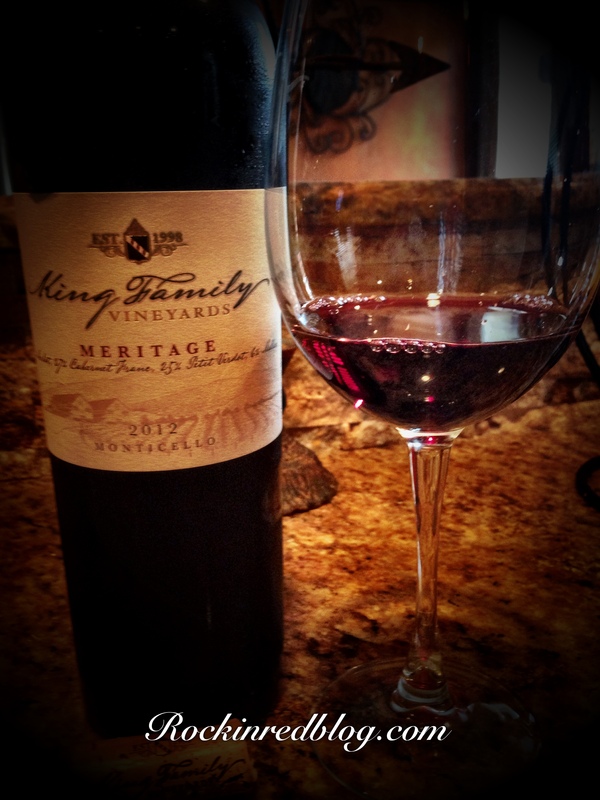 King Family 2012 Meritage: This Meritage was crafted from 42% Merlot, 27% Cabernet Franc, 25% Petite Verdot, and 6% Malbec. This beautiful wine poured an elegant deep ruby with purple highlights into the glass. The aromas captivated with ripe berries, spice, espresso and dark chocolate. On the palate the aromas followed through with flavors of ripe cherries, black raspberry preserves, spice and mocha. This wine offered a round acidity that was well balanced with the tannins, resulting in a lingering mouth feel. This wine exemplifies the art of wine blending, producing constant quality and complexity. It was aged for 15 months in French oak and contained 13.5% alcohol. SRP $30.95. 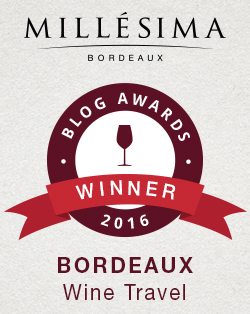 Matthieu enjoys the complexity of his Meritage because he does not want to produce wine that tastes the same year after year. I enjoyed the complexity as well and would definitely recommend this wine. This wine would pair well with braised beef, pasta with a meat sauce, or hearty beef stew. 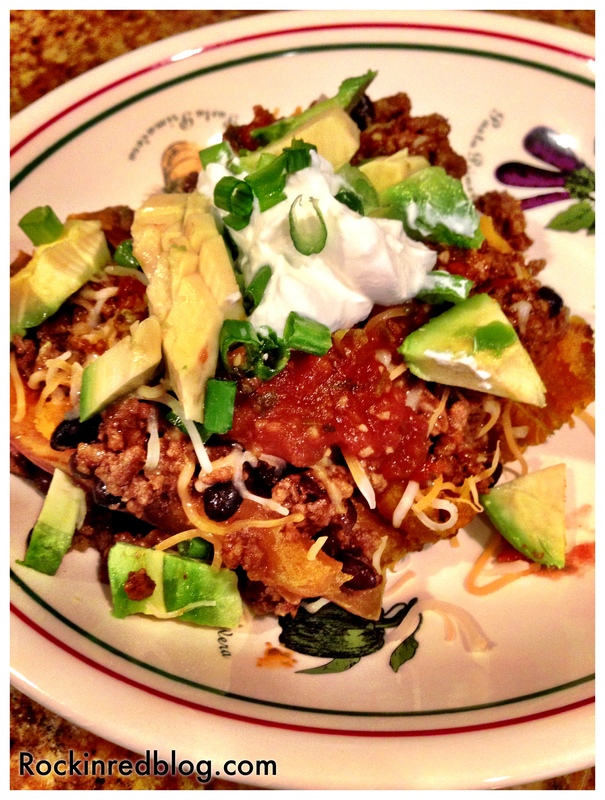 I paired these three wines with homemade Slow Cooker Chicken Tortilla Soup and stuffed sweet potatoes with ground beef and blackbeans in taco seasoning, shredded Mexican cheese, salsa, sour cream and avocado. All three wines paired very well with these two dishes! The wineries on the Monticello Wine Trail have all been inspired by Thomas Jefferson’s vision of winemaking. Come indulge in all the Monticello Wine Trail has to offer with its deep historic significance and lush vineyard views of the Blue Ridge Mountains. All 30 winery members take the greatest pleasure in welcoming visitors from around the world to sample their wines, relax in the bucolic countryside and share their pride in Virginia’s wine-making heritage. 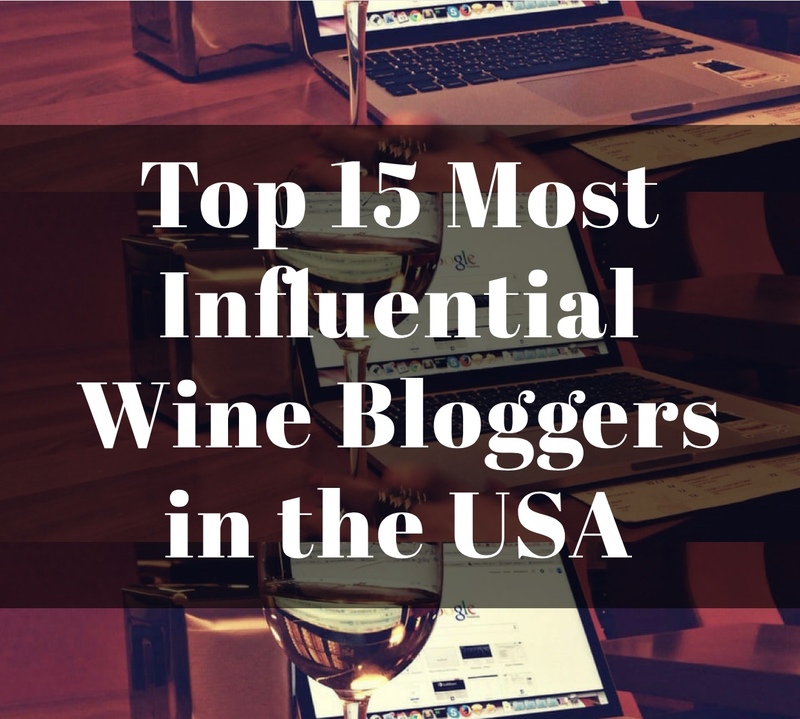 I encourage you to visit the web sites of the region and each of the wineries. They are producing high quality wine as well as offering fun events throughout the year and historical sites to visit. 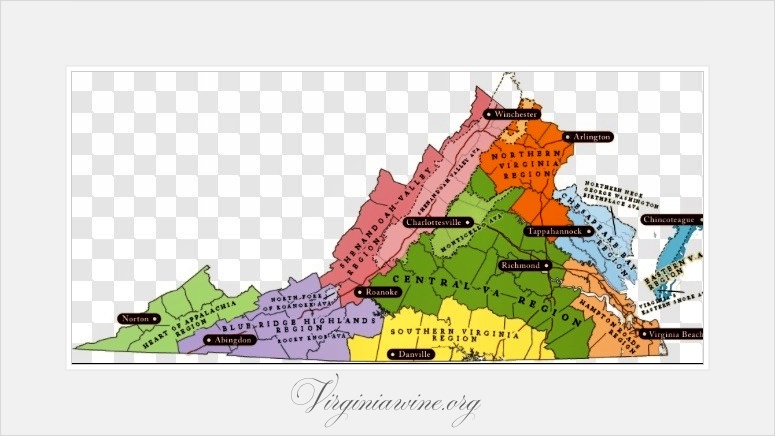 Virginians love Virginia wine; therefore, most of the wines from this the state, as well as the three highlighted in this article, can only be purchased direct from the wineries. Also, consider joining the Virginia Wine of the Month Club to receive a variety of Virginia wines right at your door. However you chose to acquire Virginia wines, make sure you do so during this October. Then send me a note and let me know what wines you try and your thoughts. You will NOT be sorry! 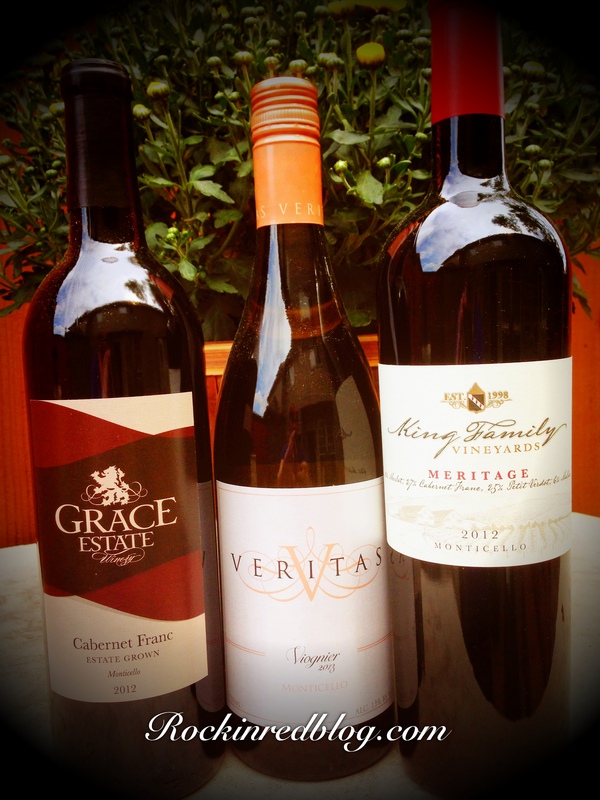 My Song Selection: The song I have chosen to pair with the #VAWinechat, Veritas 2013 Viognier, Grace Estate Winery 2012 Cabernet Franc and King Family 2012 Meritage is Sweet Virginia Breeze by the Robbin Thompson Band. This is a fun, up-tempo song expressing how much Robbin Thompson loves living in Virginia. It is a great song to celebrate Virginia wine month! Get your own bottle of ALL three of these delicious Virginia wines to celebrate Virginia Wine Month and let me know what song you would pair with them. Cheers! Three Cheers for Virginia wine!! I was so bummed I had to miss the VA Wine Chat last week. Looks like you had a great selection, and I’m sure a great chat. King Family is probably my favorite VA winery – they never disappoint. And I’m actually heading out to RdV for a tour and tasting this Friday. Cheers, Michelle!! Three Cheers indeed! I cannot wait to read about your trip to RdV. I remember that wine well. Have fun! Wish I could join you. I am amazed at the progress VA wine has made over the last decade or so – looking forward to more of these wine chats to learn even more. Great post, Michelle. The Virginia wine industry continues to make significant quality gains and these three winemakers are helping raise the quality bar. Thank you for participating in Virginia Wine Chat. 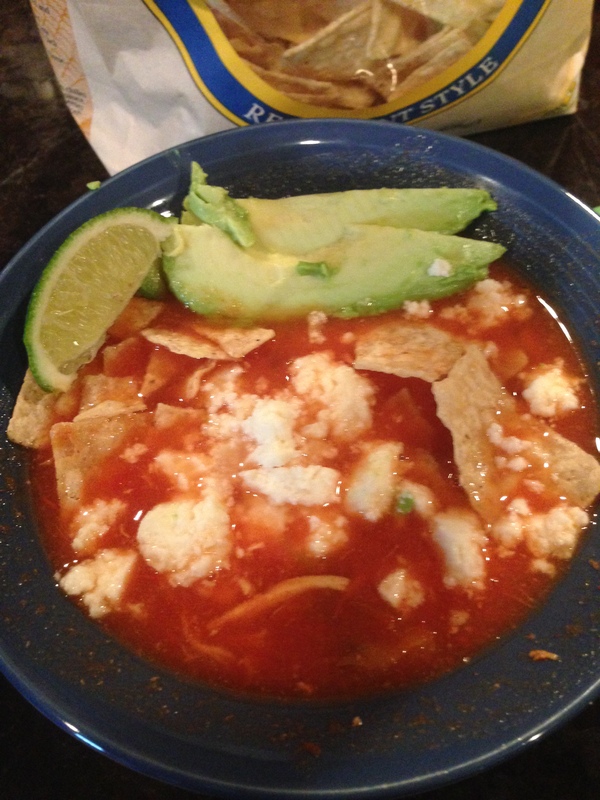 Dinner looked great! Thank you Frank. I continue to be impressed with VA Wines. Haven’t had a bad one yet! Thank you for including me. Cheers! Michelle Williams of the Rockin Red Blog, one of my favorites, has a great article spotlighting the wines of Virginia (October being Virginia Wine Month). 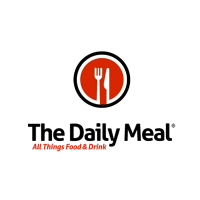 This article caught my eye because of the article I did about Thomas Jefferson’s wine cellar. Take a read, or better yet, a taste! It has been my experience that VA is producing very hight quality wines. Knowing I am going to write about any given wine has forced me to be a more creative cook. Wouldn’t be very interesting to read me pair every wine with the same foods. Cheers darlin!